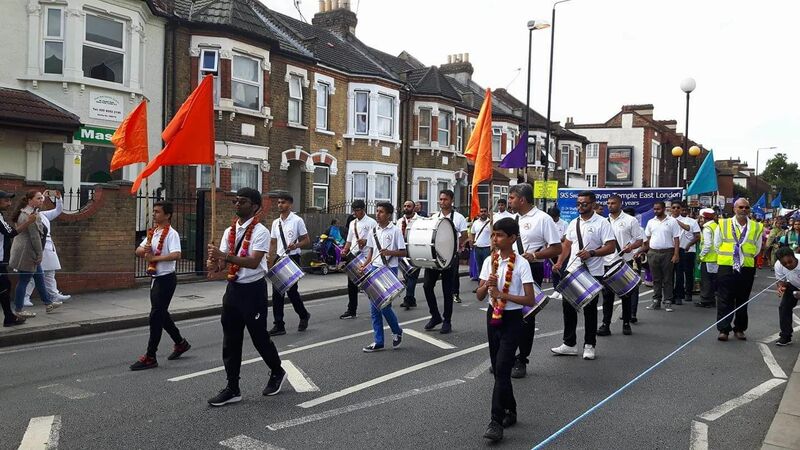 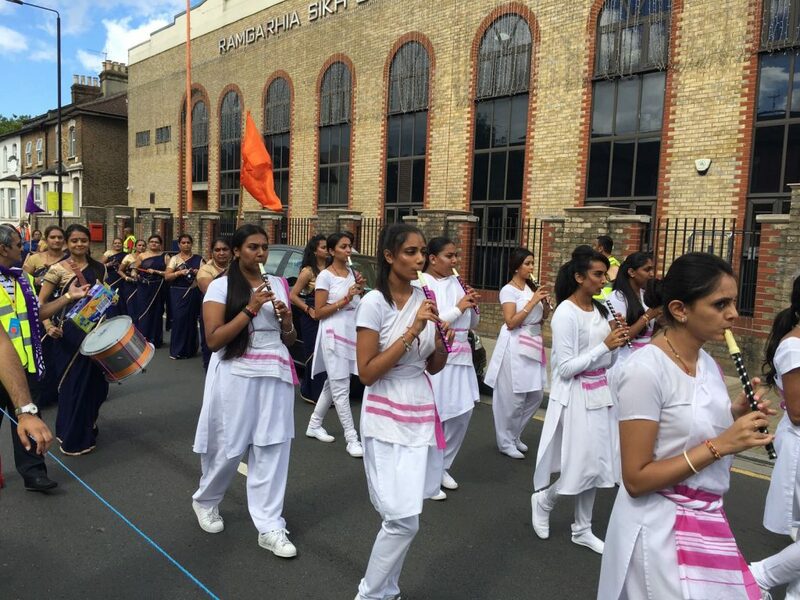 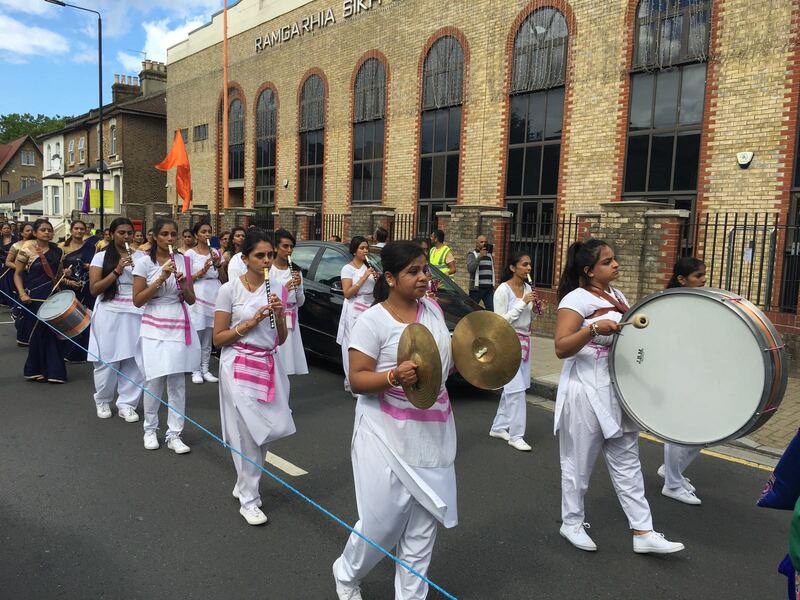 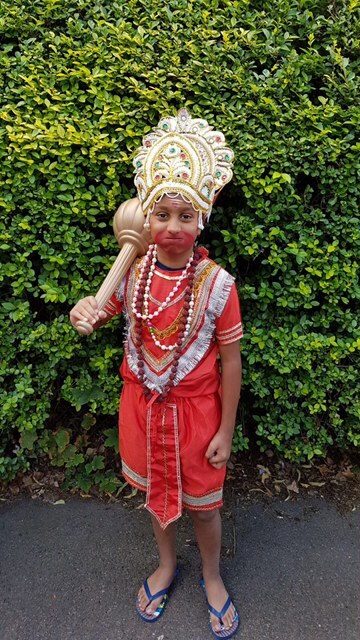 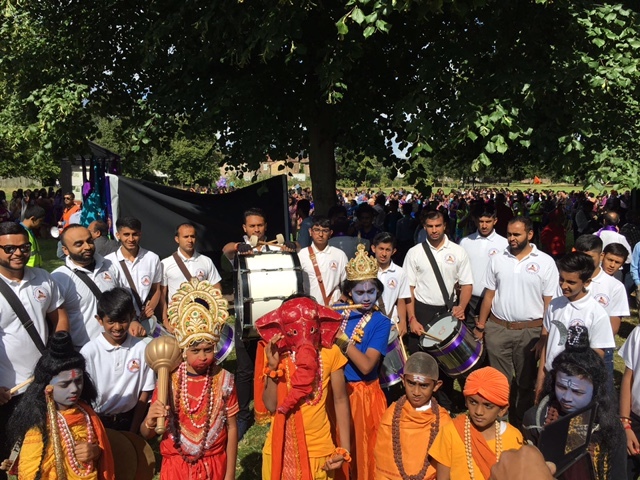 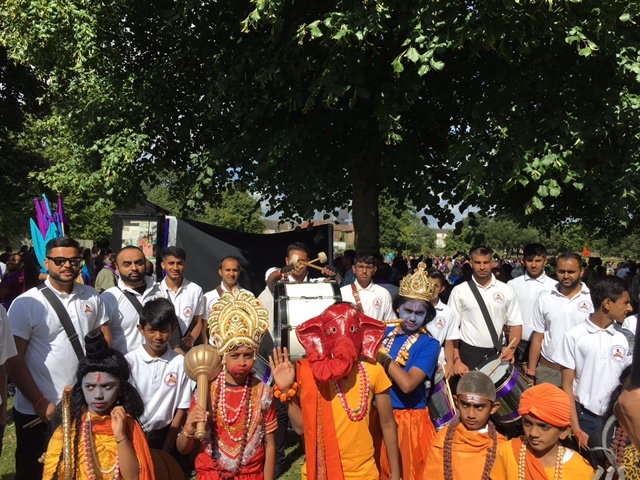 Hindu Swayamsevak Sangh (UK) Woolwich Shivaji and Pannabai Shakhas, took part in SKS Shri Swaminarayan Mandir (East London) 30th anniversary street procession (Nagar Yatra). 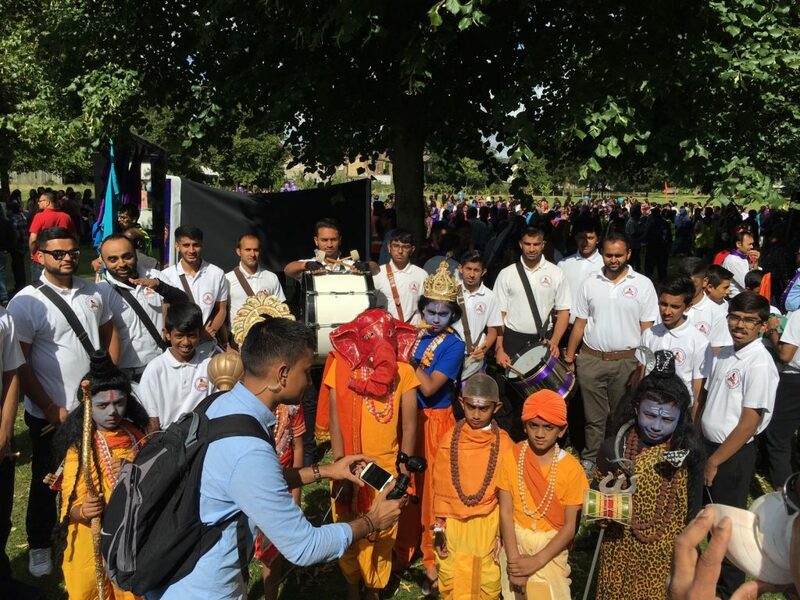 Swayamsevaks and Sevikas participated with full Ghosh band for a duration of 3 hours. 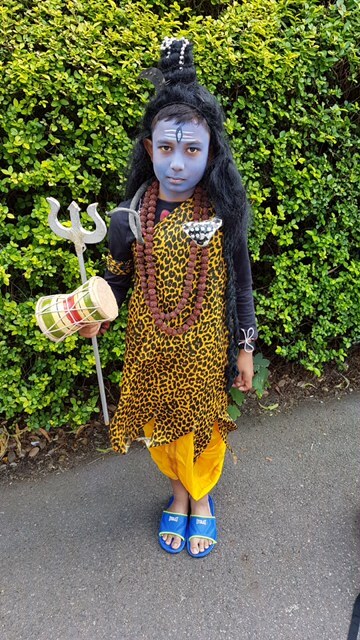 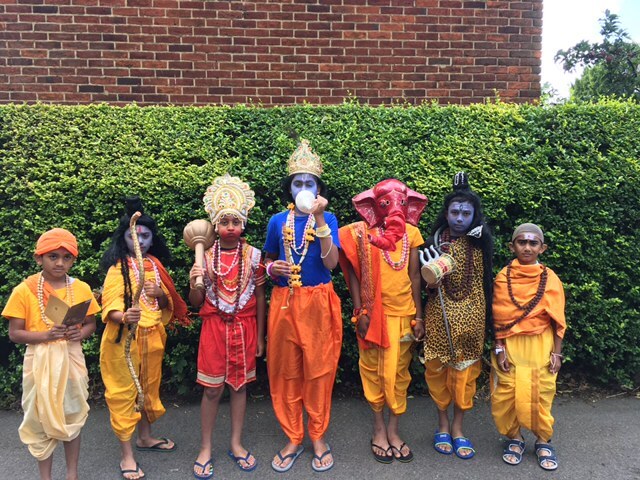 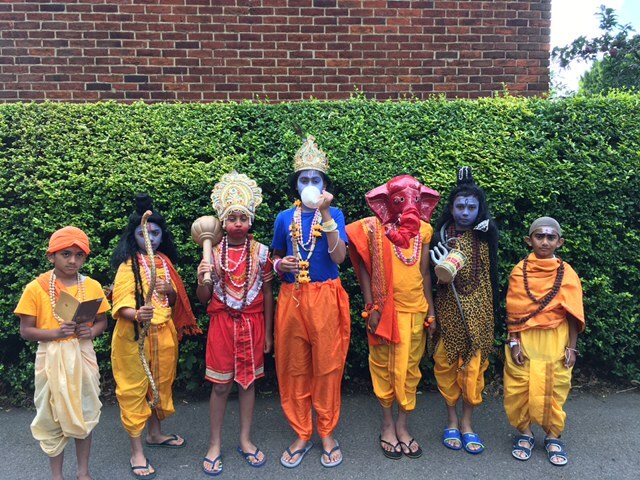 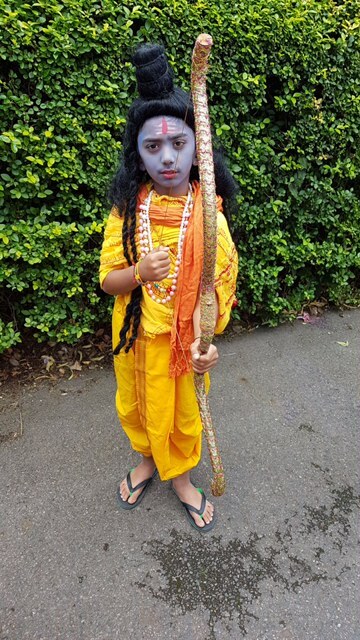 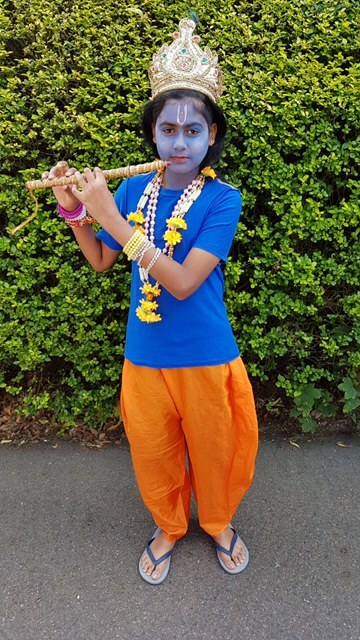 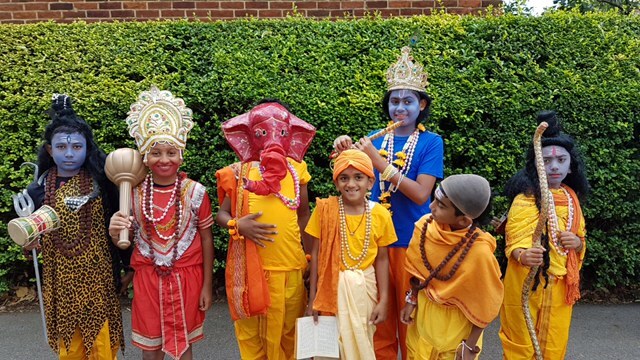 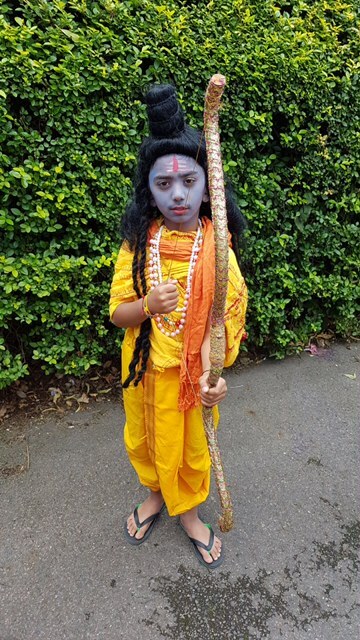 In addition, Baal and Kishore Swayamsevaks dressed up as Hindu Gods and great personalities such as, Shri Krishna and Swami Vivekananda.